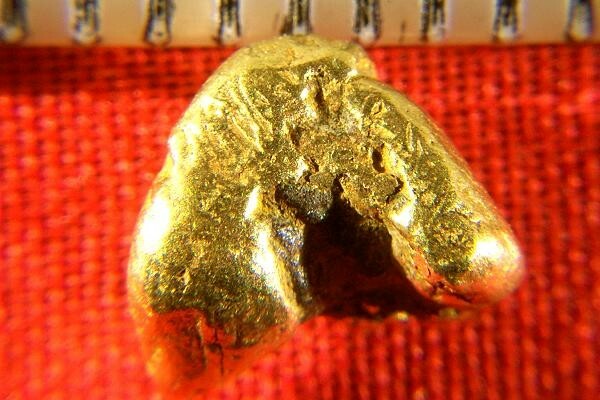 This beautiful gold nugget came from the rivers of Alaska. It was recovered by a prospector in the Fairbanks area. This really is an incredible Alaskan Gold Nugget. It has beautiful color, great shape and nice texture. It is very fat and rounded, worn smooth by the river. It weighs 33.5 Grains (2.2 Grams). 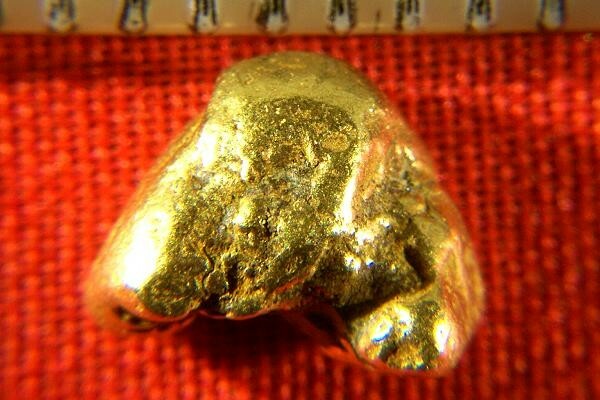 This beautiful Alaskan Gold Nugget measures 3/8" (9 mm) long.